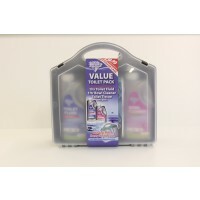 Great for the caravan, trailer tent, frame tent or wherever (..within reason, of course, you might meet the bears in the woods). 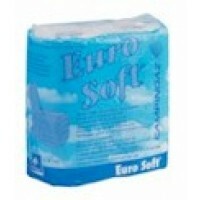 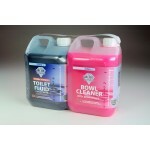 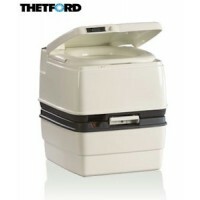 Thetford are the world’s leading freshwater flushing portable toilets. 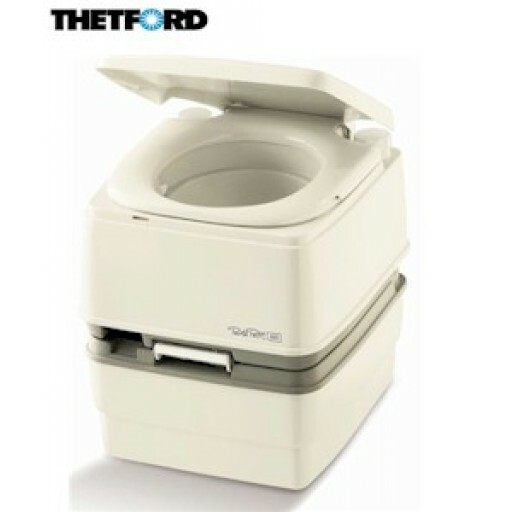 The Porta Potti 165 is the popular economical unit with dimensions of 414x379x419mm (HxWxD) holding up to 15 litres of fresh water and 21 litres of waste. 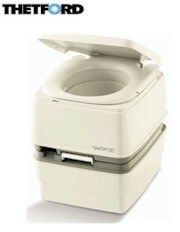 Features include pressure release button, integrated swivelling pour-out spout (for splash free emptying, that conjures up an enduring image); powerfully effective fresh water flush, a snap-lock system that allows the water and waste holding tanks to be connected and taken apart easier than ever. 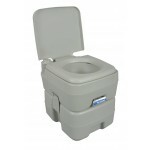 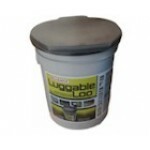 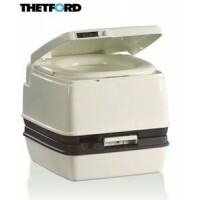 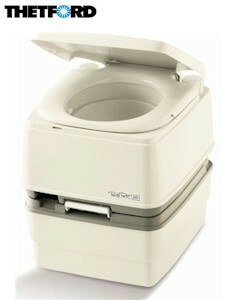 Thetford Porta Potti 165 Elegance Portable Toilet.